I thought I had the suffix thing figured out, but I was wrong. It appears that for some reason the program is choosing the correct file for the suffixes (that is, for a given ratio, it uses the image with the suffix for that ratio) but it then scales the image up to a larger size. I thought it would just use the image without scaling it. I thought that was the whole purpose of using suffixes. 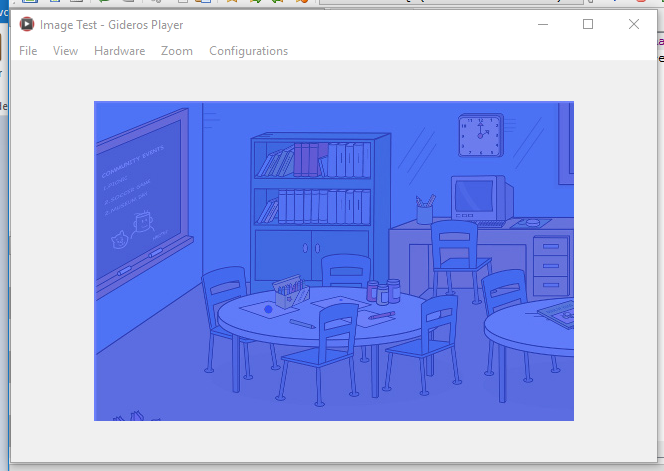 When I run this code using Gideros Player in different size configurations, it chooses the correct image, but it scales the image up-significantly. I then ran it with the Player configured at 320x480 This resulted in showing the image withOUT scaling. Please see the attached screenshots. The screenshot background is the one from the code with background.jpg. The screenshot background@small is the one from the code with background@small.jpg. The screenshot background@small is the result I want. How do I get that? I forgot to include that in my post. I was using scale mode: letterbox. OK, I think I FINALLY got this right. I had added a suffix, @small-ratio:1, to be the suffix used if the screen size was the same as the logical dimensions. Apparently, this messes things up. 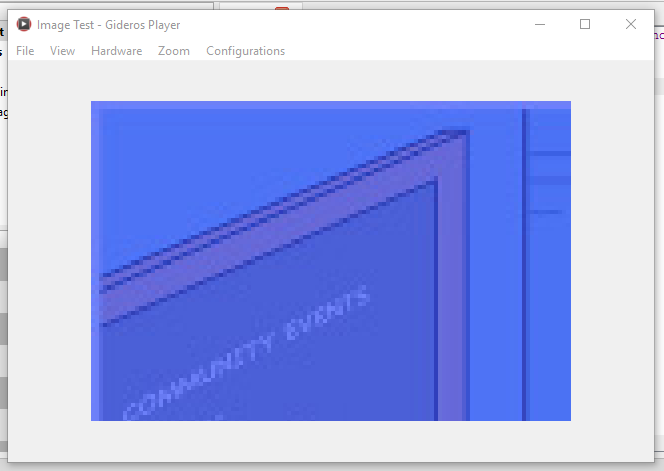 When I removed this suffix and set the Gideros Player to 320x480 (same as the logical dimensions), it displayed the base image WITHOUT scaling. YIPEE! And when I changed the Player size to other sizes, I appropriately got the @medium and @big images. DOUBLE YIPEE! What I learned: Gideros apparently assumes the base image is for ratio = 1, as well as if it can't find an image (for example, there is a suffix @xlarge, but there is no file image@xlarge.png).